When you graduate, your transcript will not be the only thing you are selling. You, too, become a part of the product you are marketing. Your behavior represents not only yourself, but your future employer and your court reporting community as a whole. The activities you choose to participate in, your dress, and your appearance all become indicators to others of the person you are long before your work product is ever seen. In fact, most people will come to know of you before they know you personally strictly based on a reputation that precedes you in a field where honesty, integrity, and discretion are paramount. Melissa S. Lee, A.S., CRI, is a teacher at the College of Court Reporting. She can be reached at MelissaLeeCCR@gmail.com. 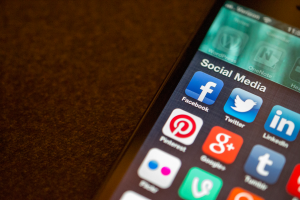 Two of NCRA’s main goals on social media are to connect with our members and to share important and interesting information. Sometimes these are more serious posts, but sometimes they’re fun, too. ICYMI (in case you missed it), below are a few highlights of popular posts on NCRA social media over the past month. 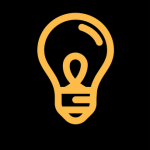 We are always looking for stories from around the internet that our members would enjoy and find valuable, including this article from Inc. magazine. The topic of focus resonated with court reporters and captioners – almost a dozen followers (including several state associations) shared it with their audiences as well. before appearing on social media, revealed what students saw as the highlights of the 2017 NCRA Convention & Expo. Shaunise Day and Stan Sakai, CRC, pose in the photo (which was supplied by Sakai). Day, a student at West Valley College in Saratoga, Calif., served on the 2016-2017 NCRA Student Committee, and Sakai, a captioner in New York, N.Y., participated in the “Steno Speed Dating” session. This post served as our first announcement to the beginnings of a new cross-cultural friendship with the Court Reporters Association of Zambia. We appreciated the encouragement from our members in the comments as well. LeAnn Hibler, RMR, CRR, CRC, a captioner from Joliet, Ill., talked about the increased need for captioning and the admiration she has for disability rights leaders. She also appreciates the support that the captioning community in Chicago gives each other. Her full article is on TheJCR.com, but we shared a few particularly lovely quotes on Instagram. “That’s a gem!” said l.e.e.l.e.e.c on Instagram. “Absolutely! What an upgrade this was from the blue cardboard box!” said @BarbaraWCash on Twitter. “Yes, it was great when the sleek plastic model came along to replace the clunky wood model. One of my wood ones was built from scratch by my great-grandfather for my great-aunt. And was there anyone who did not have an electric eraser? The one in the top right of the link below was my favorite model. It had a mercury switch, so it started rotating when you picked it up. That was the sort of stuff that was 'high-tech' back in the day (And don't get me started on the Steno-Mark, responsible for green and red spots on law firm carpets everywhere),” said John Wissenbach on Facebook. “I had a beautiful wooden one thanks to Bev Herring-Black and my judge, David Sohr, called me Speedy Gonzales because he said he could hear me in my office spitting out words like bullets as I dictated,” said Lynn Donnelly Clark on Facebook. The Friday following the shooting in Las Vegas, we all needed some good news. So NCRA asked our followers to #TellMeSomethingGood. And you warmed our hearts with happy news, both personal and professional. We encourage you to click on the comments in the post above to read them all. Look for another #TellMeSomethingGood post around Thanksgiving – we love hearing your happy stories! 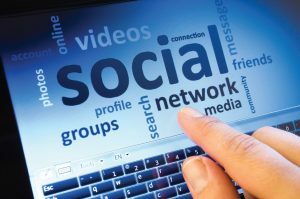 NCRA’s social media channels are a great way to stay on top of Association and industry news, but the social media team also tries to share interesting and entertaining posts from around the internet that will help reporters, captioners, and videographers do their jobs better, provide interesting information, or are just plain fun. ICYMI (in case you missed it), below are a few highlights of popular posts on NCRA social media over the past month. Even if you’re not in the courtroom or depositions, every reporter and captioner has a story of trying to figure out what the heck a speaker was trying to say. The ABA Journal, for the American Bar Association, fortunately, has recognized that some words are tough to pronounce and shared this quiz. Bryan A. Garner is the editor-in-chief of Black’s Law Dictionary (so he knows a thing or two about pronunciation) and the author of The Chicago Guide to Grammar, Usage, and Punctuation. Lots of court reporters are notaries, sometimes because their state requires them to be. Lots of court reporters need to swear in someone. Enter this article by the National Notary Association. It describes ways to respect individual beliefs and choices, take the procedure seriously, and use appropriate ceremonial gestures while taking an oath or affirmation. More than two-thirds of the members who answered the JCR Weekly poll “How far would you travel for a job?” said they’d at least stay somewhere overnight. But traveling, even for business, can make it tough to keep up with work. 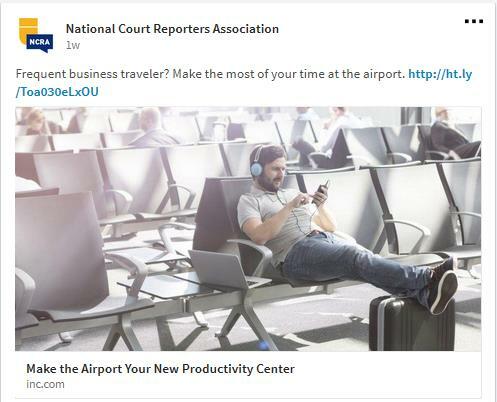 This article by Inc., written by Delta Air Lines, offered some tips on how to turn all that downtime at the airport into productive time. Instagram is NCRA’s newest endeavor on social media, and we’re still learning what our members want to see most. (Got some suggestions? Let us know!) But members loved this mini profile of Sarah Gadd. Maybe it’s because she looks ready to take on the (steno) world! Followers had plenty of encouragement for Sarah, such as Instagrammer new professional spotlight on TheJCR.com. Social media is at its best when it gives people an opportunity to connect and share. Micheal Johnson, RDR, CRR, posted about a compliment he’d received on the job, Doris O. Wong Associates, Inc., shared it to their Facebook timeline, and we found it and shared it with ours, asking members to “‘Like’ if you’ve gotten a compliment for the service you provide” … and dozens of you did! Whether you are on-site or holding down the home front during the 2017 NCRA Convention & Expo, Aug. 10-13 in Las Vegas, Nev., be sure to follow along with all that’s happening at special sessions, networking events, the Expo floor, and more by checking in with the JCR.com, Facebook, Twitter, and – new this year – Instagram. For those attending the Convention, the official app will also keep them up-to-date on the latest happenings. The app is available in the Apple app store and on Google Play. NCRA is also making its Snapchat debut with a special Convention filter, available on-site in the Convention hall from the Opening Reception through Sunday sessions. Throughout the Convention, NCRA will be posting updates on the JCR.com as well as on Facebook, Twitter, and Instagram using #NCRA17. Follow along for important information for attendees as well as breaking news for members who are keeping up with the action from home. Everyone is encouraged to join the conversation and share this year’s convention magic. The many benefits of NCRA’s online testing program include a user-friendly and secure system, more testing opportunities annually, faster results, and greater affordability. However, users of the system continue to report that the freedom and convenience of being able to test in a location of their choosing, including at home or in the office, continues to rank as one of the biggest factors for success. The program, which is a partnership between NCRA, Realtime Coach, and ProctorU, was launched in August 2015 and offers online skills testing platforms for candidates of the RPR, RMR, CRR, and CRC certifications. Since then, more than 2,300 tests have been taken online. “This was my first online testing experience, and I was able to pass the last leg of the RPR that I needed to become certified, so I’d say it was a pretty great experience. I like the online testing much better than having to go to a brick-and-mortar testing site. I did not like having to wake up very early in the morning to make it to the testing site and having to bring all of my equipment. Less anxiety testing from home in that regard,” said Christina E. Sarisky, RPR, a freelance reporter from Rutherford, N.J. First-time online test-taker Megan Orris, RPR, an official court reporter from Middleburg, Penn., said she personally likes the online testing for the skills portion of certification because it makes things go quickly and, rather than the six to eight weeks it takes to receive official results from a brick-and-mortar site, online official results are emailed within three to seven days. “I think people can get nervous over having to wait a period of time to know whether they passed or failed a test,” she noted. For candidates preparing to take any of the NCRA online skills tests, veteran test-takers and Marybeth Everhart, RPR, CRI, CPE, national marketing manager for Realtime Coach, agree that practicing is also an important factor for ensuring success. NCRA recently made available on its YouTube channel a series of nine online testing instructional videos created by Realtime Coach that cover the entire process from a basic orientation to scheduling the actual test. The short videos were designed to provide candidates with an easy-to-use resource for prepping. Additional security measures required by the online system include candidates signing a mandatory confidentiality form that indicates that the subject and words of the test will not be disclosed to other candidates and proctors that are connected to candidates in real time, with live audio and video connections that include a view and live feed of the candidate’s monitor through screen-sharing technology. Candidates are also required to use an external webcam to show that their workspace is secure by giving a 360-degree pan of the entire room and desk or workspace. Under the online system, NCRA allows candidates to take up to three skills test attempts in each quarter. 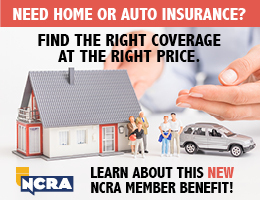 For information visit NCRA’s online skills testing page. 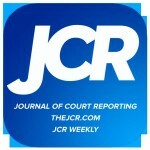 A blog post by NCRA member Todd Olivas entitled “How does a court reporter type so fast?” prompted a TIL (things I learned) thread on Reddit about court reporting in May 2016. A court reporting student with the username “lifeuh_findsaway” also joined the conversation to share an insider’s look into the world of court reporting.